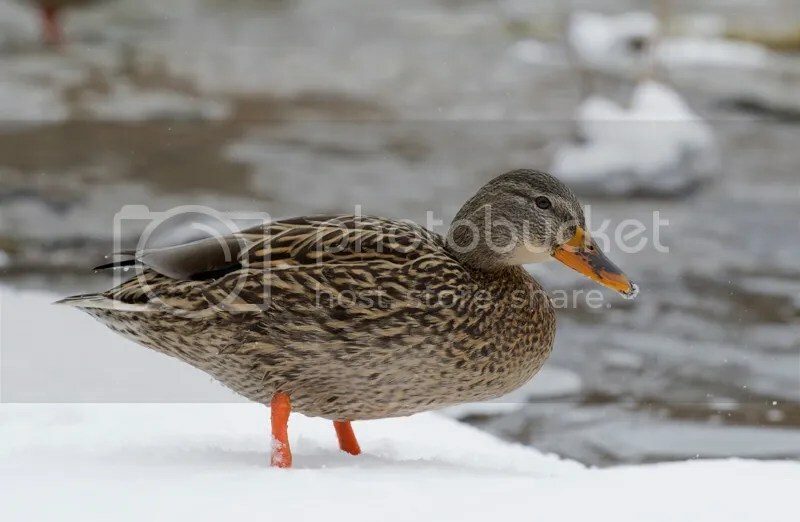 Went to a river that don’t froze during winter and where Mallard Ducks stay all winter because peoples give them foods. They are easier to get close to photograph and the setting can be beautiful when there is fresh snow on the ground. There was around 30 of them last week-end when i went with my family, my 2 young girls love to observe the Ducks. It was quite warm for a winter day, around -4C, it was cloudy with some periods of falling snow. 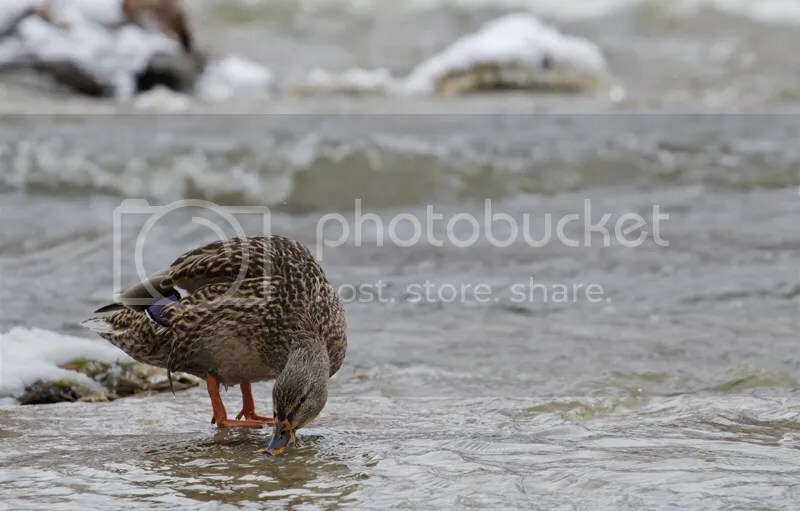 Since Ducks are easy to get close i was shooting with 2 cameras (Canon 7D and T3i), with my 400mm/5.6L and 70-200mm/4 L (with and without my TC 1.4X II attached). It was a good combination, i was able to switch rapidly between my 2 kit depending on the situation and distance of my subject. Here is one of a female in the river. T3i, 70-200mm/4L at 200mm, ISO 800, 1/500 sec. at f/5.6, tripod. Male taking a break in the river. T3i, 400mm/5.6L, ISO 800, 1/320 sec. at f/5.6, tripod. T3i, 70-200mm/4L, at 163mm, ISO 800, 1/1000 sec. at f/5.6, tripod. T3i, 70-200mm/4L, at 159mm, ISO 800, 1/800 sec. at f/5.6, tripod. 7D, 400mm/5.6L, ISO 640, 1/400 sec. at f/5.6, tripod. I was there only 1 hour, my kids wanted to go back home, but this week-end i will go again on Sunday. 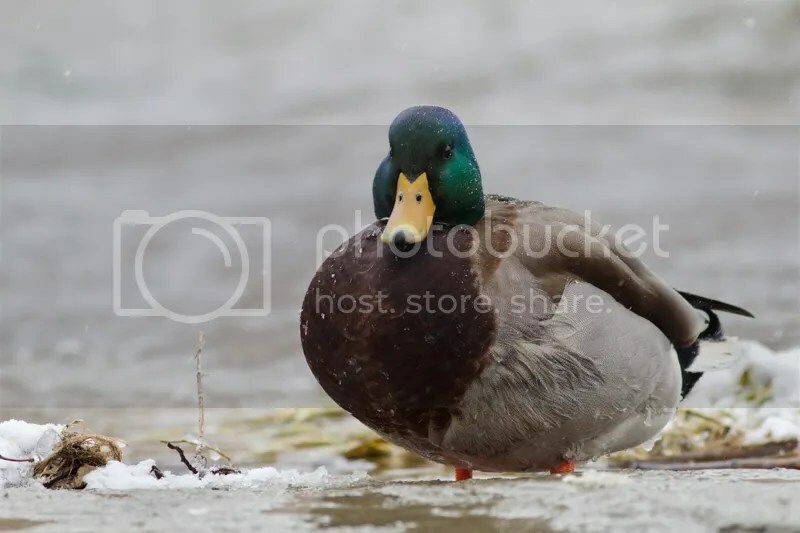 The temperature will be around -20C in the morning so it will be good for photography, the Ducks will have frost on their feathers ! 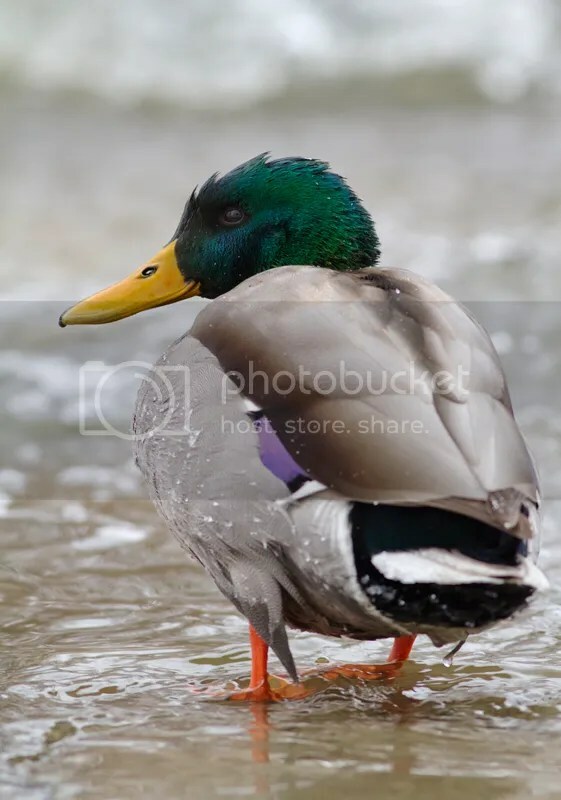 The 400mm was often too strong and the Ducks looked too tightly squeezed in the frame, will probably use more my 70-200mm this time, might even try to get a shot with my WA lens. This entry was posted on January 23, 2014 by Steeve Marcoux. 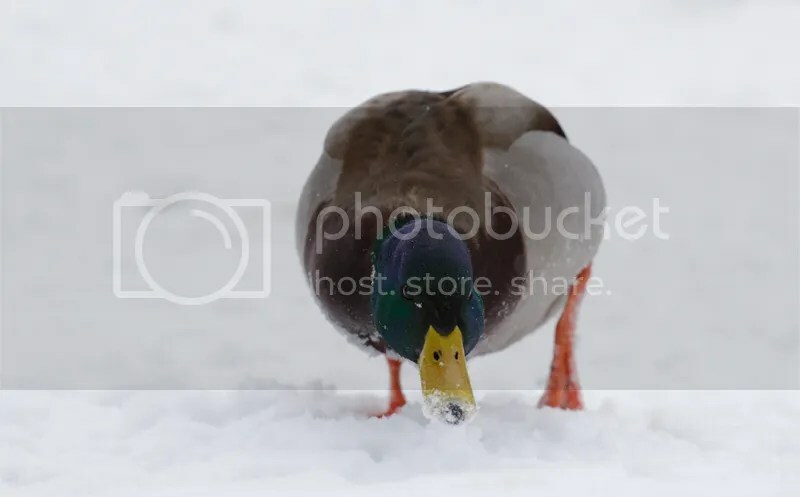 It was filed under Photo experience and was tagged with 400mm, 70-200mm, canon, cold, duck, Ducks, ISO, Mallard Duck, Mallard Ducks, winter.